Cloud computing provides many kinds of application services for cloud users, but security problems have caused great impact on Software as a Service (SaaS). As a commercial model, SaaS is related among different participants who could be malicious or dishonest. 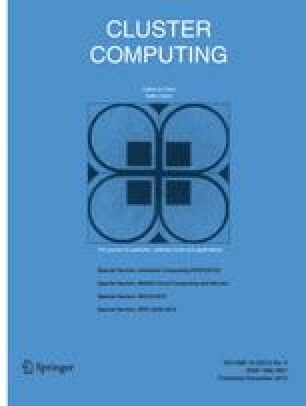 This paper presents a Software Service Signature (S3) to deal with several security issues in SaaS and keep the interests and rights of all participants in safety. Our design is based on ID-based proxy signatures from pairings. The analysis shows that the proposed scheme can effectively strengthen the security through authentication in cloud computing. This work is supported partially by National Natural Science Foundation of China (Grant Nos. 61072080, 61202450 and 61202452), Ph.D. Programs Foundation of Ministry of Education of China (Grant No. 20123503120001) and Department of Education, Fujian Province, A-Class Project (Grant No. JA12076).